Virtual partner/racer support. Create your own workout and get alerts while running! The Forerunner 610 must sync with a USB ANT stick to transfer its activities. The provided cable and base is only for charging the device. To get your activities to ride with GPS, we highly recommend setting up Automatic Sync with Garmin connect. Place your Forerunner 610 watch close to the stick! Best results are had with less than 6″ of space between the two. Do not keep the USB stick plugged in all the time. This will cause your 610 to attempt to transfer data every minute or so, which will (a) drain your battery, and (b) can cause the device to go into a loop of rebooting itself until the battery dies. Only plug the stick in when you want to transfer data, and unplug it afterward to avoid these issues. Periodically clear your history from the Forerunner 610. This make transfers quicker, with less likelihood of timing out and failing. If you don’t use Garmin Connect, disable automatic uploading to Connect in the ANT agent settings. Any failure to transfer to Garmin Connect can cause issues with syncing. Important: Ensure your latest activity is cleared and saved (hold down reset). If you have an activity currently paused, but active, the scale will not sync with your watch! Press the upper left physical button, the backlight/power button, once. If you have never used the scale with your watch, the first time you attempt to sync, you will be prompted to enter data about yourself. Do not select “Lifetime Athlete” unless you have been biking/running extensively over the last year. Your readings will be considerably off if you select “Lifetime Athlete” and you don’t fit the category. The scale will beep, letting you know to step on the scale. When the scale is finished, your weight readings will appear on the watch display. Let your watch sync with your computer using the provided ANT+ USB stick. 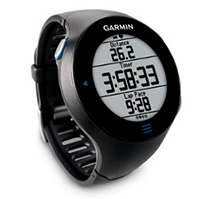 Login to your ridewithgps account, and head to the Garmin Sync page. If you are a paying premium member, your weight scale readings will be listed and ready to sync to your account.